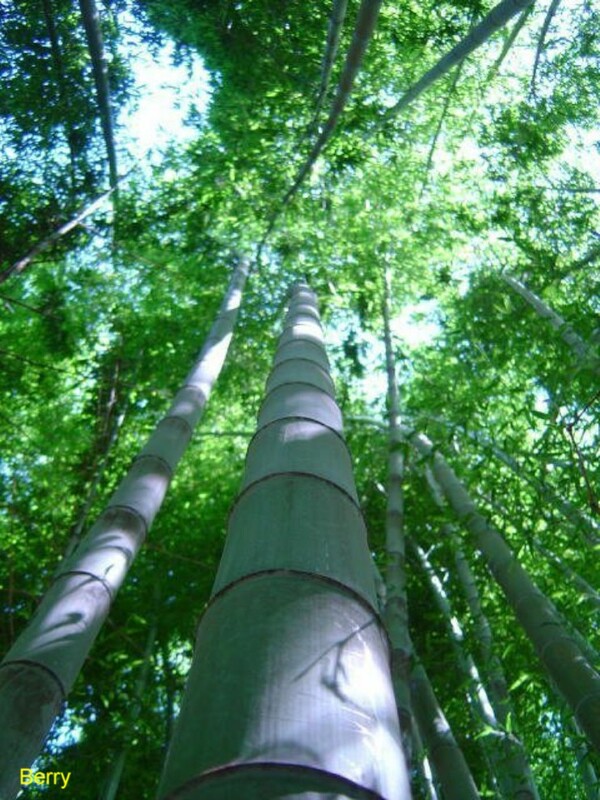 Comments: The largest of the hardy bamboos with a height of 75 feet and a diameter of culms of about 7 inches. Shoots in spring and young culms are covered with a velvety coat of soft hairs. A running bamboo of which the young shoots are eaten, even in winter when others are not available. A grove of muso bamboo has a light feathery look from a distance.